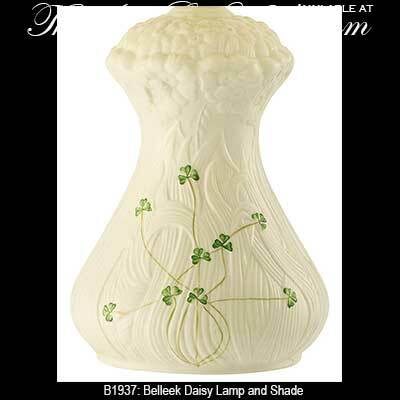 The daisy lamp from Belleek China features hand painted green shamrocks along with embossed daisies. 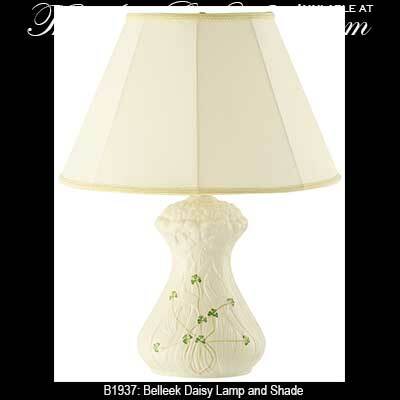 The Belleek lamp measures 7 1/2" wide x 11" tall or 20" wide x 23 1/2" tall with the included shade and brass hardware. 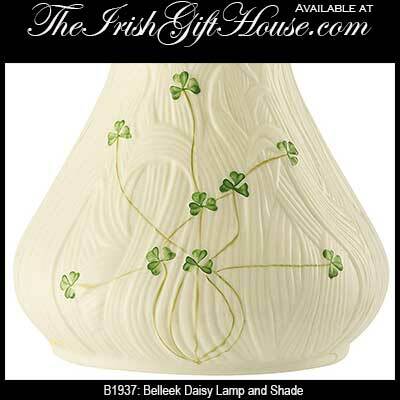 The fine china lamp is hand crafted in Belleek, Ireland and is gift boxed with a shamrock history card, compliments of The Irish Gift House.